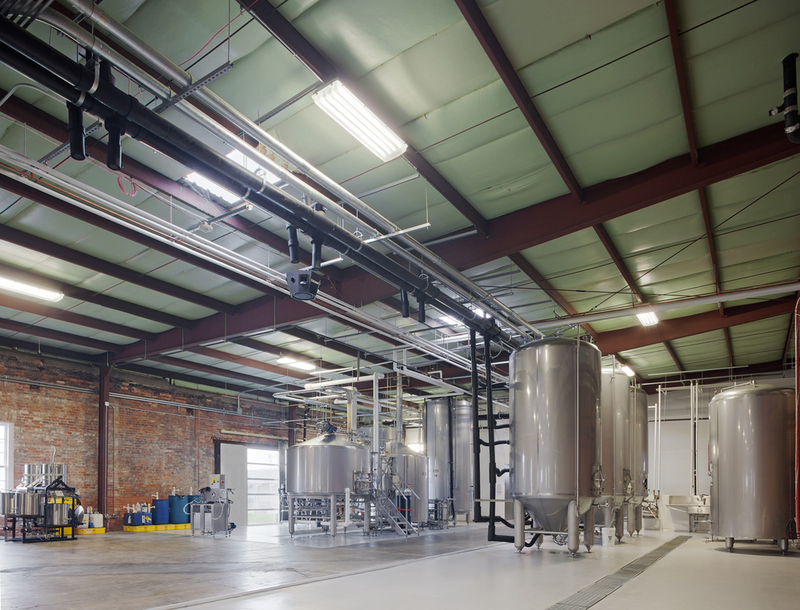 The new Service Brewery project comprised the rehabilitation and adaptive reuse of an existing vacant warehouse building on the Savannah River constructed in 1900. 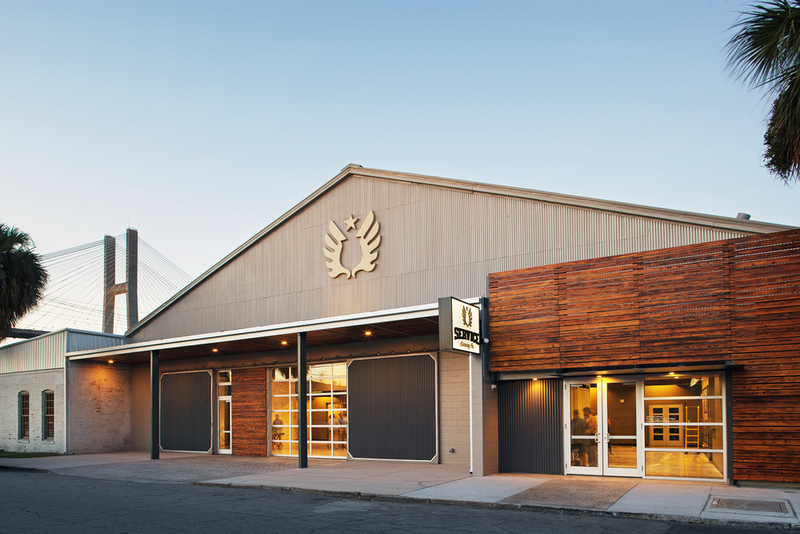 The architectural improvements enhanced the industrial historic qualities of the building and added a contemporary aesthetic while transforming the structure from a dilapidated eyesore into a state-of-the-art brewery and commercial destination. Service Brewery has become a major catalyst for the revival of West River Street. Renovations to the building included both interior and exterior improvements. The existing entry was reconfigured and re-clad with horizontal salvaged wood panels, corrugated metal panels and new storefront entry doors and windows. The existing sliding doors were repainted and the existing opening infilled with a sectional glass door and wood panels. The brewery required a 15’ diameter x 20’ tall grain silo which allowed for additional building signage. On the interior, stacked shipping containers provided a backdrop for the bar and additional service and meeting space within. 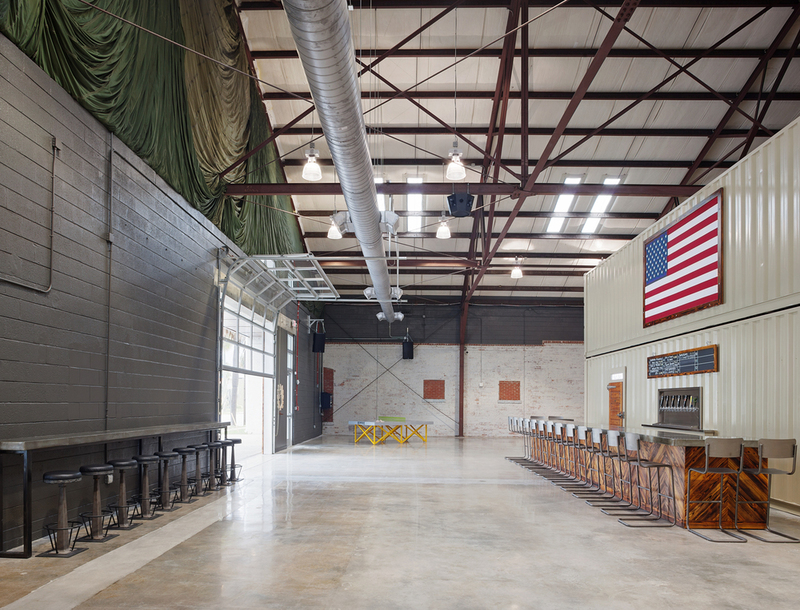 The new Service Brewery project comprised the rehabilitation and adaptive reuse of an existing vacant warehouse building on the Savannah River constructed in 1900. The architectural improvements enhanced the industrial historic qualities of the building and added a contemporary aesthetic while transforming the structure from a dilapidated eyesore into a state-of-the-art brewery and commercial destination. Service Brewery has become a major catalyst for the revival of West River Street. Renovations to the building included both interior and exterior improvements. The existing entry was reconfigured and re-clad with horizontal salvaged wood panels, corrugated metal panels and new storefront entry doors and windows. The existing sliding doors were repainted and the existing opening infilled with a sectional glass door and wood panels. 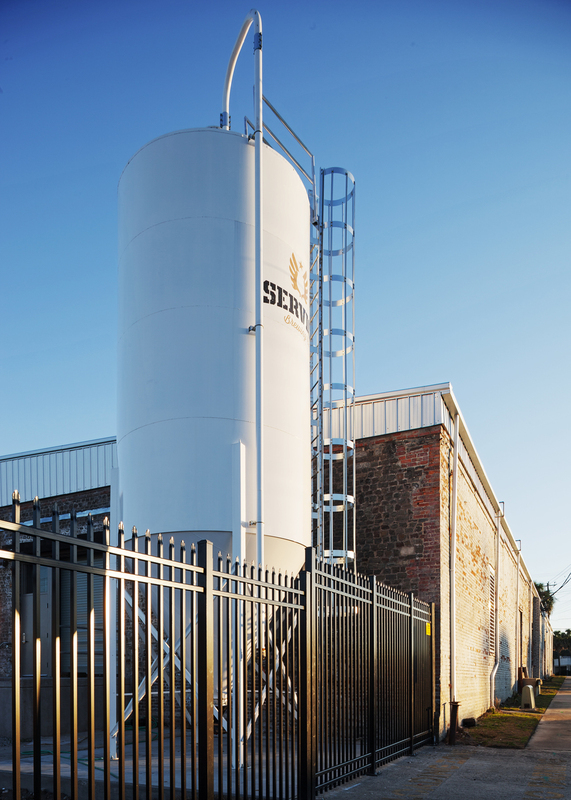 The brewery required a 15’ diameter x 20’ tall grain silo, which allowed for additional building signage. On the interior, stacked shipping containers provided a backdrop for the bar and additional service and meeting space within.